Preheat oven to 400⁰F. 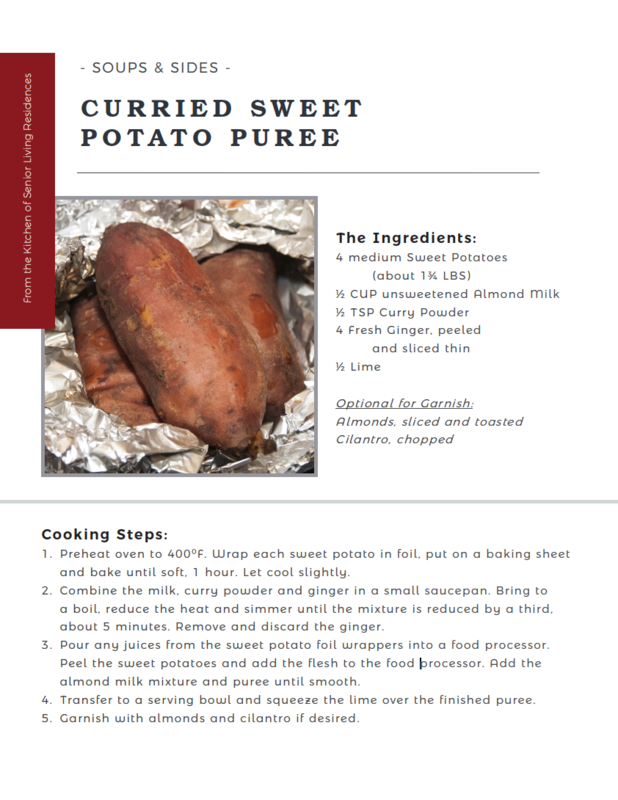 Wrap each sweet potato in foil, put on a baking sheet and bake until soft, 1 hour. Let cool slightly. Combine the milk, curry powder and ginger in a small saucepan. Bring to a boil, reduce the heat and simmer until the mixture is reduced by a third, about 5 minutes. Remove and discard the ginger. Pour any juices from the sweet potato foil wrappers into a food processor. Peel the sweet potatoes and add the flesh to the food processor. Add the almond milk mixture and puree until smooth. Transfer to a serving bowl and squeeze the lime over the finished puree. Garnish with almonds and cilantro if desired.